Meetings that satisfy are the ones when everybody is attending, are enjoying themselves and bring thoughts and energy to the table. A conference in Nikkaluokta can tailor to your convenience. If you are short on time but still want to get away from your daily environment to create results do a one day meeting here. Meeting package include conference room in Gallery Skádi, coffee, buffet lunch or a 2 course business lunch. Check in at lunch and check out a day later. 24 hours of meetings, inspiring each other, eating good food and sometimes contemplating the mountain views to lift you above petty problems. 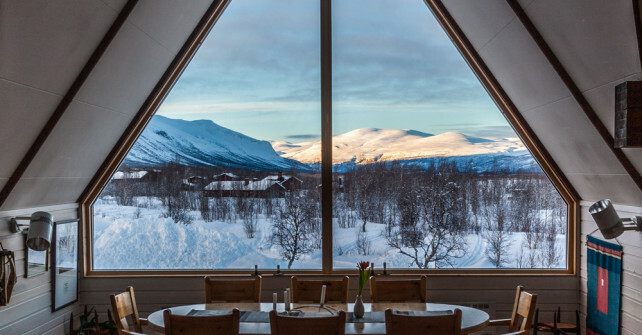 One day-and-night meeting package include 6 bed modern house, meeting room, coffee and tea, 2 buffet lunches, one three course dinner with Sámi and arctic flavors and breakfast buffet.